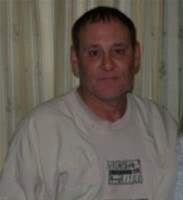 David Wayne Carroll, 57 of Elizabethtown, died Tuesday, March 26, 2019 at Hardin Memorial Hospital. He was a native of Hardin County and was retired from the City of Elizabethtown Public Works and the Elizabethtown Board of Education, where he was a custodian. He was preceded in death by his parents, James Harvey and Helen Lee Slinker Carroll and a sister, Sandy Carley. He is survived by two daughters, Lakota Carroll and Shayla Carroll both of Elizabethtown; one sister, Judy Shields of Louisville; one brother, James Michael (Kathy) Carroll of Radcliff; two grandchildren, Everleigh Johnson and Anastasia Carroll and nieces, Heather (Chris) Keith, Michelle Carroll and great niece and nephew, Aayilah and Aden Keith. The funeral will be Friday at 6:30 p.m. at Brown Funeral Home. Visitation will be from 2 to 6:30 Friday at the funeral home. Condolences may be expressed online at www.brownfuneral.com.